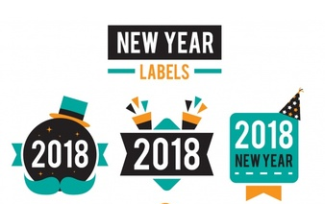 The importance of your label in marketing your product is an established fact and, as much as there are always going to be those methods that have stood the test of time, what was seen as trendy a few years ago could look dated and drab in 2018. Keeping your label on par with the times is crucial, but an ongoing challenge. To stay relevant in your existing market but at the same time attract the next generation of consumers, what should you be focusing on? Here’s a little bit about what’s in store for us in 2018. Keep it simple. This is a tried and tested method that will remain in 2018. The fewer the words, the better, but make sure you’re still providing sufficient information to make a decision. The use of simple characters or symbols that will get the message across, at first glance, is also a win. Consumers are feeling increasingly overwhelmed by the sheer volume of information everywhere, by making your design concise and to the point your product will immediately become more appealing. The old adage, “a picture is worth a thousand words” couldn’t be truer. From the use of photographs to fine art, if it’s interesting on the eye and illustrative of your product, it’ll secure the desired result. In 2018 there will be an increased challenge in inspiring your audience with just a simple picture. With the constant barrage of information, an eye-catching graphic that clearly tells the consumer what the product is all about, will always come out tops. Your colour choice is essential and should be reflective of your product. Although pastel colours are making a comeback, they speak to our softer side and won’t always be suitable for your product. Bright bold colours are exciting and should prepare you for an exhilarating experience, whereas your softer pastels should invite you into a tranquil space that’s soothing and calm. Make sure you make your choice wisely. The bigger focus for colour in 2018 will be the use of different methods, coloured fonts placed on a contrasting coloured background that draws the eye and gradients of colour creating depth and form which draws you in and makes you want to know more. Ultra-violet is the Pantone colour of the year for 2018, so we should see it creeping in to most designs. These are just few exciting examples of what we can expect to see in the new year. Swirling decorative font is a thing of the past, think large clear type face, bold and dramatic. If you need to look at it twice, you’ve already lost the consumer war. With simplicity as your goal, your font can be centre stage, telling the whole story. As with both design and graphics, your words need to convey their message in one easy glance and, with a wise choice of colour, you’re sure to draw a crowd. Another effect that we are already seeing an increase of is the use of just one type face, but used in different styles, sizes, varying effects and spacing. Keeping it interesting, but simple. Over the past 10 years there has been a steady increase in the use of digital printing technology. Taking into account the improvements in productivity and reliability which are making digital printing a cost-effective option over higher runs and combining this with the continued demands of the buyer in terms of lower run lengths, shorter timelines and the use of personalisation, the trend towards increased use of digital printing will continue into 2018. A clear focus for the new year is simplicity, simplicity of design in both font and graphics, utilising the least to tell the most. Using colour wisely and to draw the eye. For next year, less is really going to be more.